Every time I remember Vladivostok I think of the scene from Eurotrip where our wayward travelers end up dropped in Bratislava. And Rade Šerbedžija aka Boris delivers one of his briefest but best performances. But seriously, this is what Vladivostok felt like. I was late to the Communist party, but I can still tell my Grandkids (should that ever happen) that I walked through a Soviet city. Yet even once Soviet but now European Russia has culture. Even Putin hasn’t been able to destroy it all. Yet. But Vladivostok’s culture and history is all war and conquest. Its story is that of one giant military base that happens to have civilians living in it. 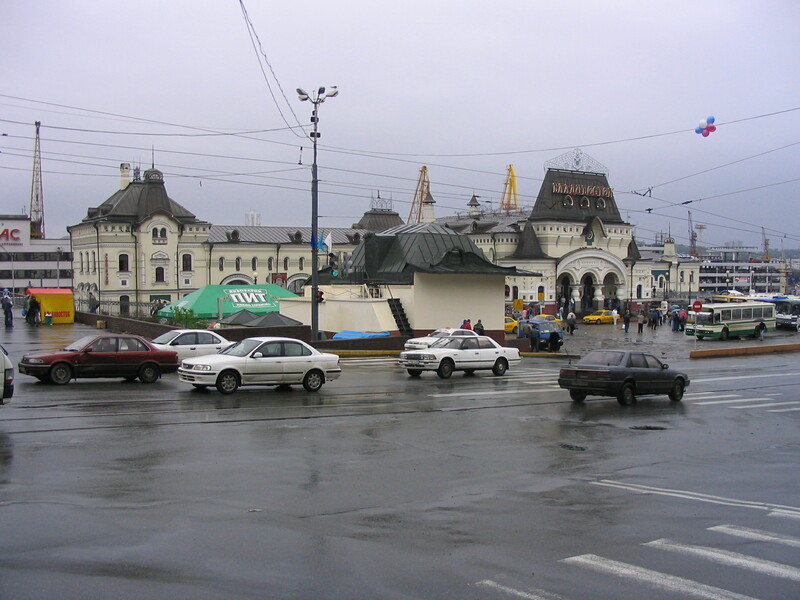 Vladivostok Railway Station – eastern terminus of the Trans-Siberian Railway. Originally the rail line also ran straight through Manchuria off onto Siberia. But now the official line runs in a big arc around China before continuing on. These sections of track are probably history’s bloodiest railways in terms of the amount of Chinese, Russian, and Japanese blood shed over their ownership. And so it’s rather correct to say there’s almost nothing to see or do in Vladivostok other than contemplate your thanks to Jesus, Mohammed, Satan, and Buddha that you weren’t born in Soviet Russia. The only highlight of the journey was my friends and I slowly becoming obliterated on high-octane Russian beer in a harbor tent alongside a gang of Russian firefighters. We had a blast. They were a bunch of good dudes and we had a lot of fun comparing our collectively twisted lives. But a single night of drinking that one cannot really remember does not a good trip make. And those Russian firefighters felt like the only decent people in the whole city. Everybody else was trying to rip you off, or just refused to talk to you. I think they were all too busy trying to survive. 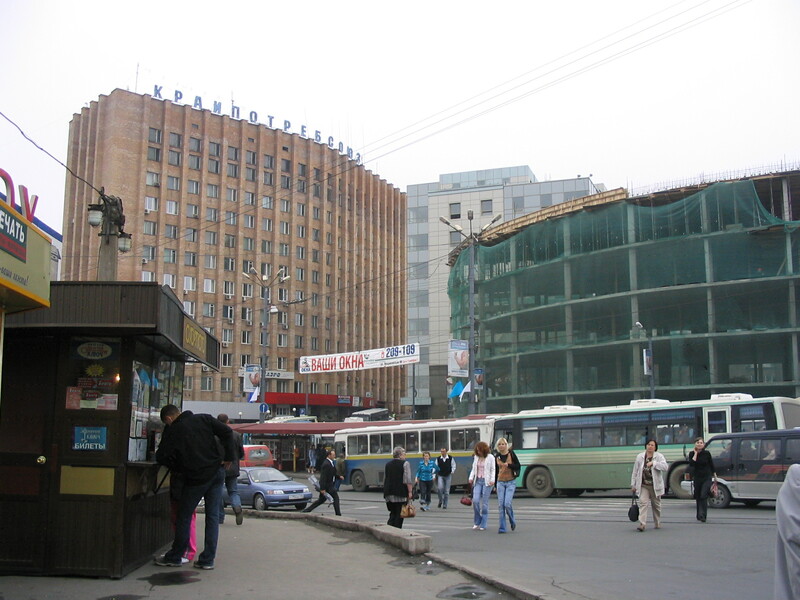 So I think that’s the culture of Vladivostok, a Soviet culture of survival. I really, really hope it’s gotten better since I was there. This entry was posted in Asia, China, Culture, Film, History, Japan, Life, Photography, Politics, Russia, Travel, War and tagged Asia, China, Culture, Europe, Film, History, Japan, Life, Movies, Photogrphy, Politics, Russia, Travel, War. Bookmark the permalink.